Pursuits can be created from (or linked to) a contract or grant Opportunity notice (i.e. 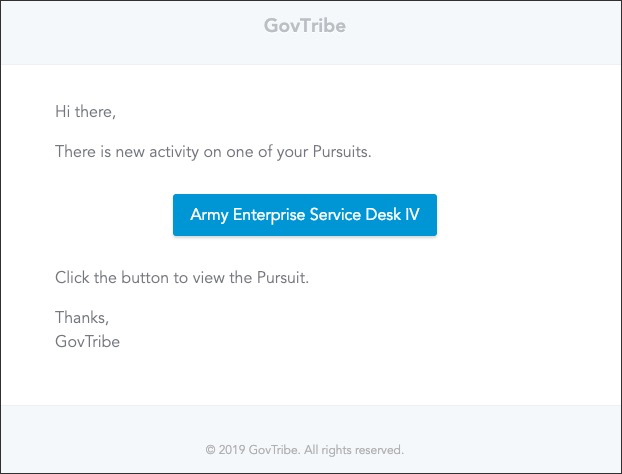 an existing pre-solicitation or solicitation) that you find on GovTribe. 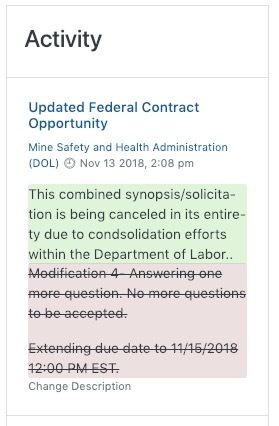 Or they can be created from (or linked to) a contract or grant Award that you find on GovTribe. For every Pursuit that exists on your account, you are able to receive instant email notifications about any updates. This is true for Pursuits in all Pipeline stages, including Triage. Pursuit notifications are controlled at the Pipeline level. You can control whether or not you will receive notifications for a Pipeline by modifying your Notification Settings. This is done from the drop-down menu at the top of any given Pipeline. 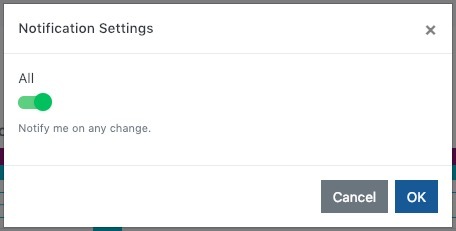 After selecting the Notification Settings menu item, you are presented with a pop-up modal with a single toggle switch which controls notifications for that Pipeline. Toggle it to green to turn notifications ON. Toggle it to gray to turn notifications OFF. All pursuit notification emails are essentially the same. The email will identify the Pursuit, by name, that has recently been updated. And a button link to that Pursuit will be provided. Click the button in the notification email to go to that Pursuit. Then review the activity feed on the left side of the screen to see what has been updated. In short, any change by either the government or a user on your account - anything that creates new "activity" on the Pursuit - will result in an email notification to any account members who have notifications turned on for that Pipeline.